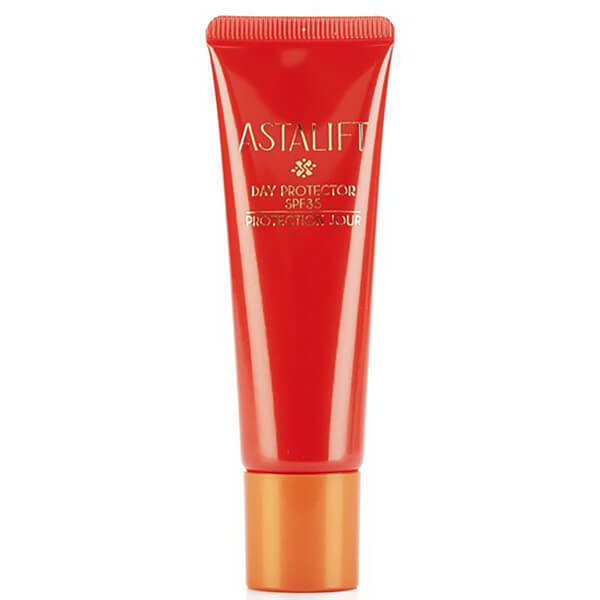 Prep and protect with Astalift SPF 35 Day Protector Lotion, a lightweight, anti-ageing formula that utilises the red pigment 'astaxanthin' to combat free radical damage and boost collagen production. Created by FUJIFILM, Astalift is an award-winning beauty brand that uses advanced antioxidation technology, similar to that used to prevent colour fading in photographs, to minimise the visibility of freckles and skin ageing. One of the leading causes of ageing is sun damage. This non-greasy lotion works to expertly protect the skin from harmful UV rays, combining hyaluronic acid and nano-Lycopene with SPF 35 to prevent the consequences of sun exposure developing. Doubles as an effective makeup base for luminous skin. Expect a youthful, supple complexion. - K.N.